(CNN) – Following fierce accusations from top Obama aides over Romney's tenure as head of Bain Capital, the Romney campaign fired back Thursday claiming the Obama team was being "reckless." In a call with reporters, Stephanie Cutter, deputy campaign manager to the President, cited a Boston Globe report that Mitt Romney was in control of the private equity company he helped found three years beyond 1999 – the year the Republican candidate says he left the company to lead the Salt Lake City Olympics. She said he could face criminal consequences for misrepresenting his time at the company. "Either Mitt Romney, through his own words and his own signature was misrepresenting his position at Bain to the SEC, which is a felony, or he was misrepresenting his position at Bain to the American people to avoid responsibility for some of the consequences of his investments," said Cutter. "If that's the case, if he was lying to the American people, then that's a real character and trust issue that the American people need to take very seriously." "President Obama's campaign hit a new low today when one of its senior advisers made a reckless and unsubstantiated charge to reporters about Mitt Romney that was so over the top that it calls into question the integrity of their entire campaign. President Obama ought to apologize for the out-of-control behavior of his staff, which demeans the office he holds. Campaigns are supposed to be hard fought, but statements like those made by Stephanie Cutter belittle the process and the candidate on whose behalf she works," said Matt Rhoades, Romney for President Campaign Manager. According to the Boston Globe report Romney "said he left Bain in 1999 to lead the winter Olympics in Salt Lake City, ending his role in the company. But public Securities and Exchange Commission documents filed later by Bain Capital state he remained the firm's 'sole stockholder, chairman of the board, chief executive officer, and president.'" The implication being that Romney would have been involved in Bain investment decisions that cut jobs during those years. This would be contrary to claims by Romney that he no longer was in control of the firm. Romney's campaign was firm in pushing back on the report Thursday saying the SEC filings are "complicated" and "do not square with common sense in this case." The independent FactCheck.org also put out a statement standing by their assessment that Romney had in fact left operational control of Bain when he said he had. On the call, Cutter also resurrected the issue of the release of Romney's tax returns, noting the precedent set by Romney's father, George Romney, who ran for president in 1968 and voluntarily releasing 12 years of tax returns. Former Sen. Jim Talent of Missouri defended the former Massachusetts governor in another call to reporters Thursday. He said the Obama campaign and the White House are posing the issue of Romney's tax releases as a distraction to call the American people's attention away from other failures of this administration. "This attempt in the White House to shift away from the real issues in the campaigning is getting to the point of being desperate," said Talent. "Going around these 'release his 2010 tax returns, his estimate for 2011,' he will release the rest of it when it's available and he's going to continue talking about the issues that matter to the American people." 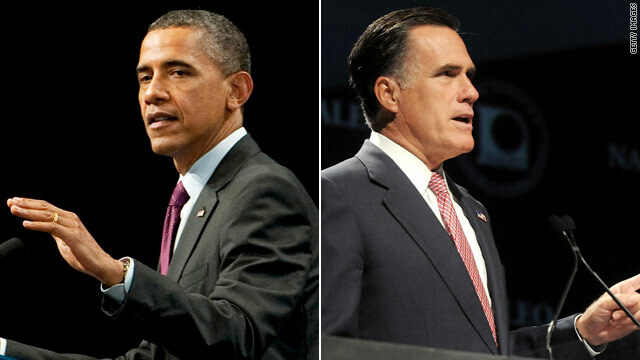 Thus far, Romney has released his tax returns from 2010 and promises to release more taxes from 2011 once prepared. If you are honest and a man, release all your tax records just like your father. 12 years direct from the IRS, give the IRS authorization to release it. I bet you will be a flight risk. Boy Obama is running a disgusting campaign. He is really losing his integrity by the lies he is telling about Romney. Really Debby? It sounds like you're running scared of the American public finding out the truth about Willard and they will. This will be one time Willard will have some "splaining" to do and I can't wait. If you are honest and a man, release all your tax records just like your father. Two problems: honest and man. Either a felon or a flat out liar. Well, actually – both. And, a hypocritical flip-flopper to boot. I think they(Obama and Romney) both should decide to release all of the information they are refusing to release. You know all of that executive priviledge stuff O bama does and not releasing his college transcripts and how about all of the dirty back room stuff to get the health care law passed. You know that stuff. Your father released ten years of tax records . Romney will , most of his wealth was transferred to his family trust and to his sons off shore holdings . The guy is as transparent as invisible teflon ! Romney has been caught in so many lies. I'm sure there are dozens of similar revelations ahead. The longer you run the less you can hide!!! Being a businessman and playing both ends against the middle just catches up to you in public life.....better to be a community organizer....more transparent,much less devious!!! I won't believe that Romney left Bain until I personally examine his notarized original letter of resignation and Bain's acknowledgement of its receipt. We "Bain-ers" are not to be trifled with. We will constantly hound Mitt Romney throughout the campaign until we learn the truth. Etch-A-Sketch Mitt RobMe provided 23yrs of TAX RETURNS to the John McSame for his veepee vetting, but they choose Sarah Palin instead. Just what is this idiot mitt robme hiding? What is the point to this article? All politicians are liars. Nuff said! • Volunteer campaign worker for his dad's gubernatorial campaign 1 year. • Unpaid intern in Governor's office 8 years. • Mormon missionary in Paris 2 years. • Unpaid bishop and state president for his church 10 years. • Took no salary as president of the Salt Lake Olympics 3 years. • No salary as MA governor 4 years. • Gave his ENTIRE INHERITANCE to charity. • That's a grand total of 28 years of unpaid service to his country, his community and his church. Why? Because that's the kind of man Mitt Romney is. This is at odds with the media/dems slant on Mitt. The facts are sooo inconvienent! If Romney was a CEO and/or on the board he should know the dealings of his companies. Unless he was an incompetent board member then he knew of at least the general direction each of his companies were doing. This includes layoffs, or outsourcing strategies.... common sense for board people (or CEO). They may not have known the day to day actions, but they certainly knew the general direction. If he was incompetent and really didn't know, he is then too incompetent to be a president. All Romney has to do is be specific as to what he did when. I don't know what to think when it comes to when Romney was in charge. Sorry Willard,the Obama campaign did not hit a new low today with these accusations.It hit a new high by divulging the truth about your continual campaign of lies and deception. Jason, do you really think someone would be foolish enough to commit tax fraud on as massive a scale as seems to be in-fashion to believe and then run for President? Where'd you get your crazy pills from, the birthers? Someone in the Obama committee finally used the L-word (lying) when describing Romney. Hoorayy!, the Democrats are showing signs of growing a spine, finally. You cannot let Romney get elected, this venal corrupt slimeball will turn America into a Plutocratic/Feudalistic national disaster.